It’s not every day that you get to go behind-the-scenes of a tv set and they actually start a real fire! Yes folks, that’s what I got to experience on my set visit in Chicago, Illinois. It got pretty hot and steamy. 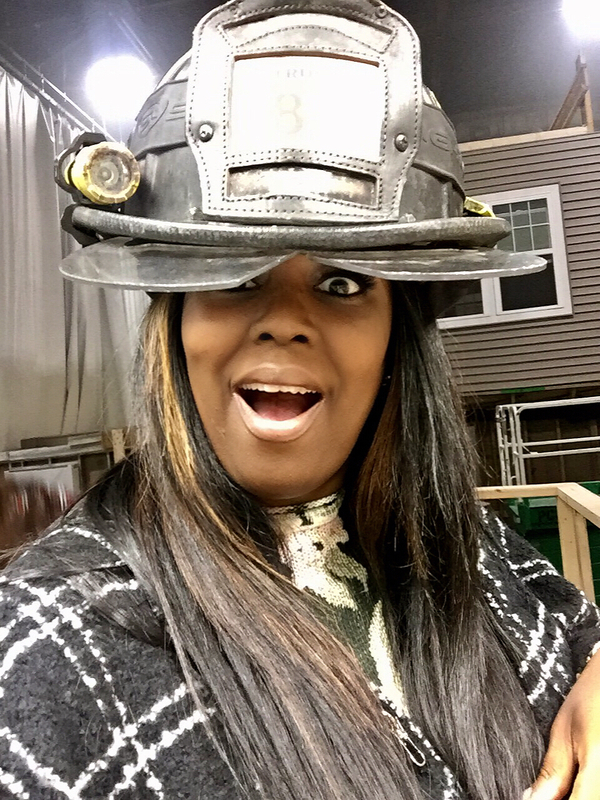 It’s already season 5 for a very popular NBC tv show called, Chicago Fire and I got the opportunity to chat with a few cast members from the show and watch a live demonstration. 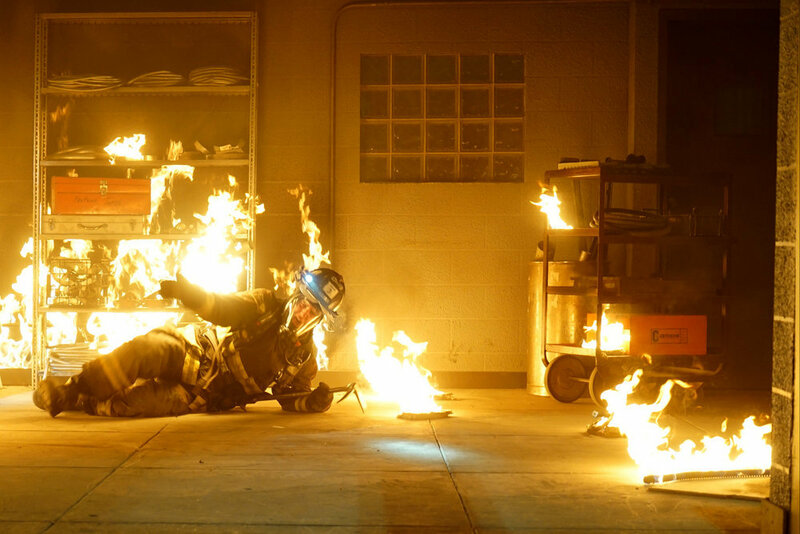 It was really educational to watch firefighters interact with the actors, hear about fire safety precautions, then to actually watch a cafeteria scene where a fire broke out with a real explosion! 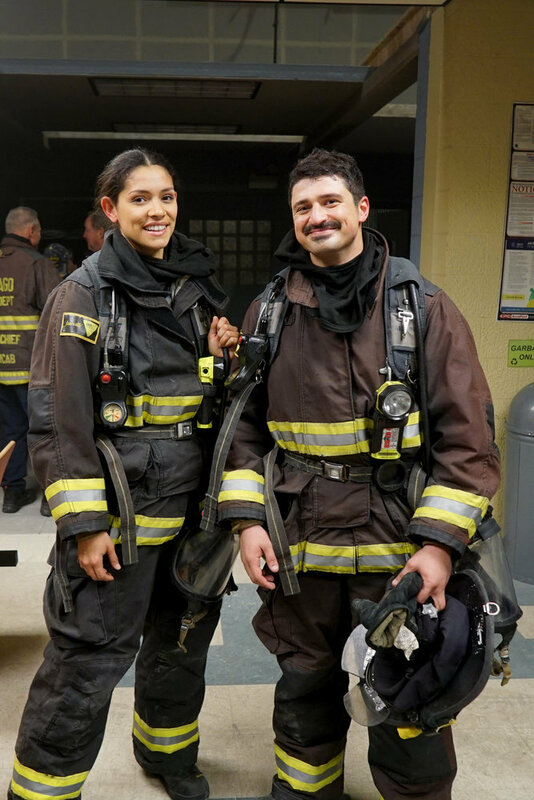 Two actors from the show Yuri Sardarov and Miranda Rae Mayo were on set to act out the scene and afterwards they chatted with us about how they even learned a lot about fire safety, rescues, the equipment that firefighters use and wear and so much more! 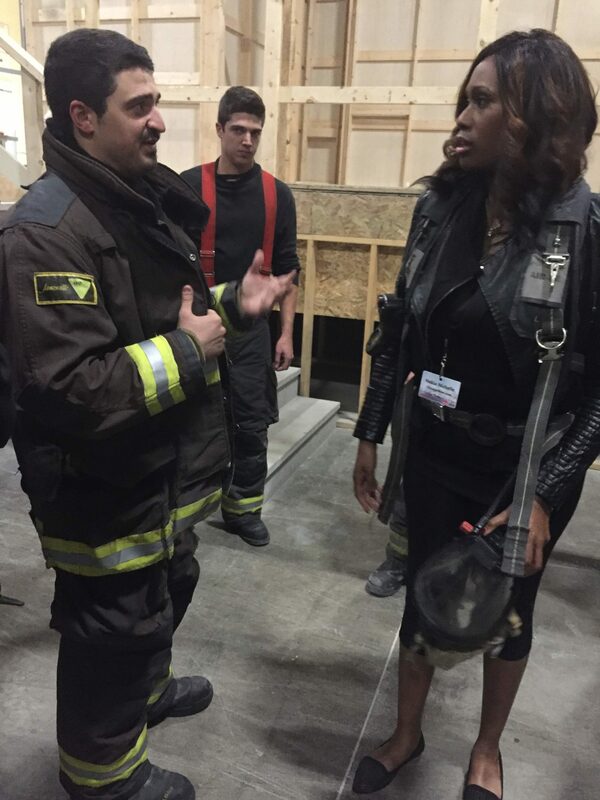 Check out a few snaps from the set visit and don’t forget to tune in to watch Chicago Fire, Tuesdays at 10pm on NBC. This was a live fire guys, it got heated pretty fast! 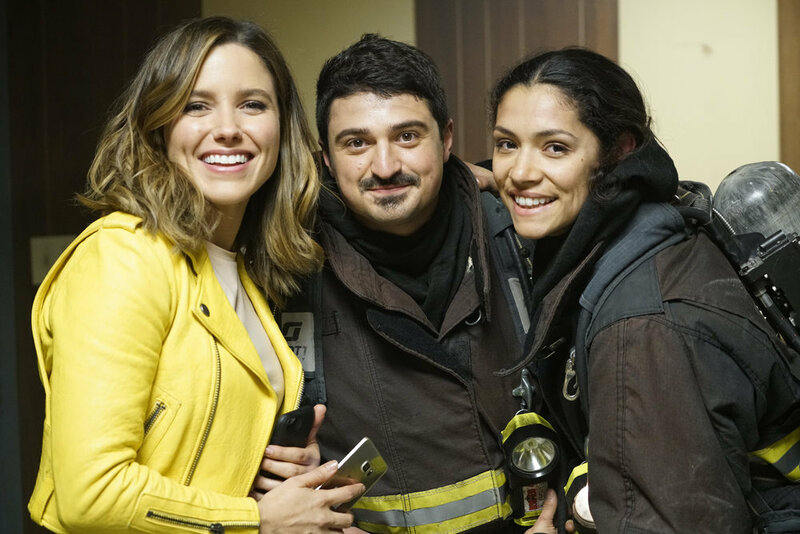 Actors Sophia Bush, Yuri Sardarov, Miranda Rae Mayo at the Chicago Fire demonstration at the “One Chicago Day” event. 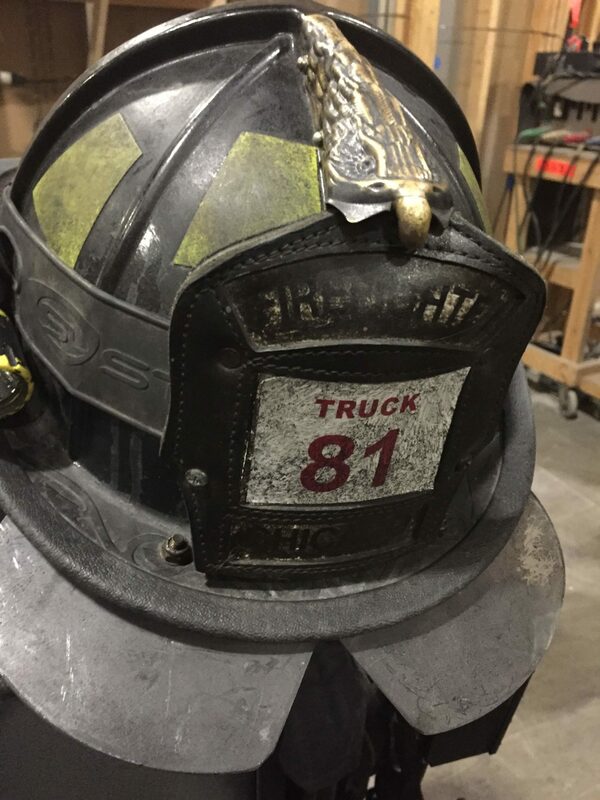 You guys, this fire helmet was so heavy! My neck started to hurt from trying it on, wow! Early in the day, I had the opportunity to chat with actor Eamonn Walker who plays Wallace Boden(Battalion Chief). 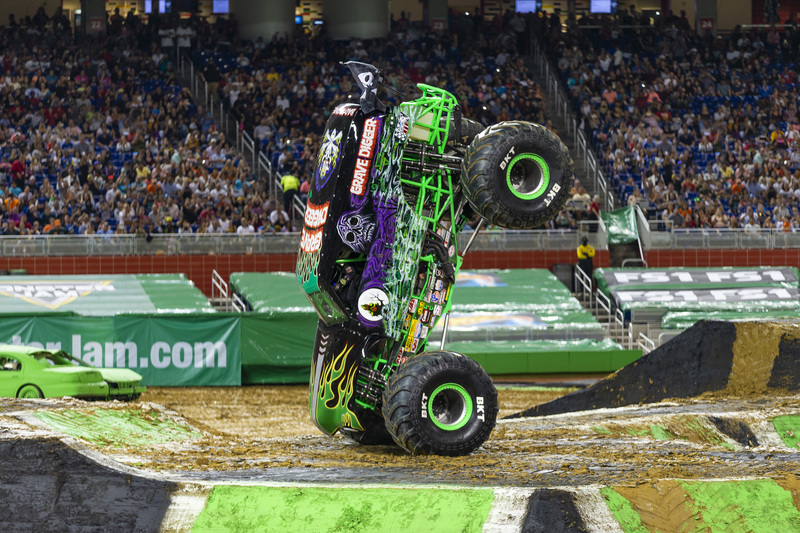 Walker said when he has down time, he likes to ride his motorbike through the streets of Chicago. 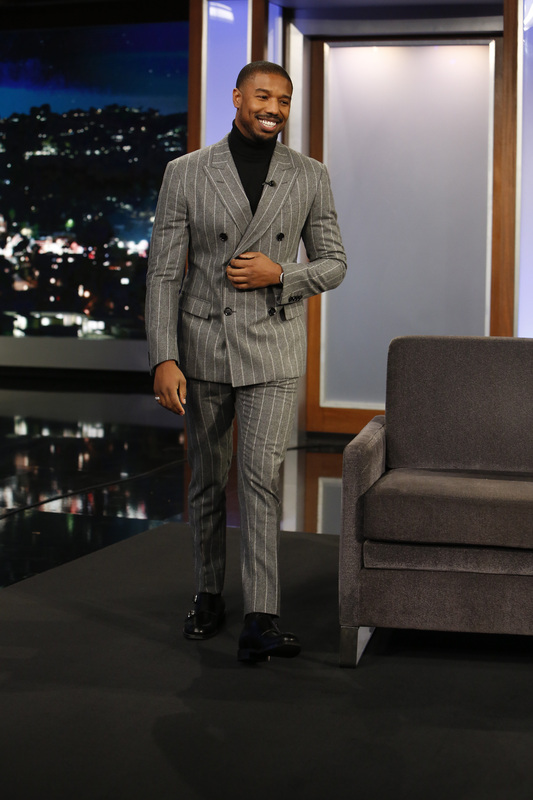 He also told me that many years ago, fire houses used to be very segregated, but pay attention to the photos in his office on set, they show images of the past. He said always pay attention to his eyes, they show that he is truly a black man. 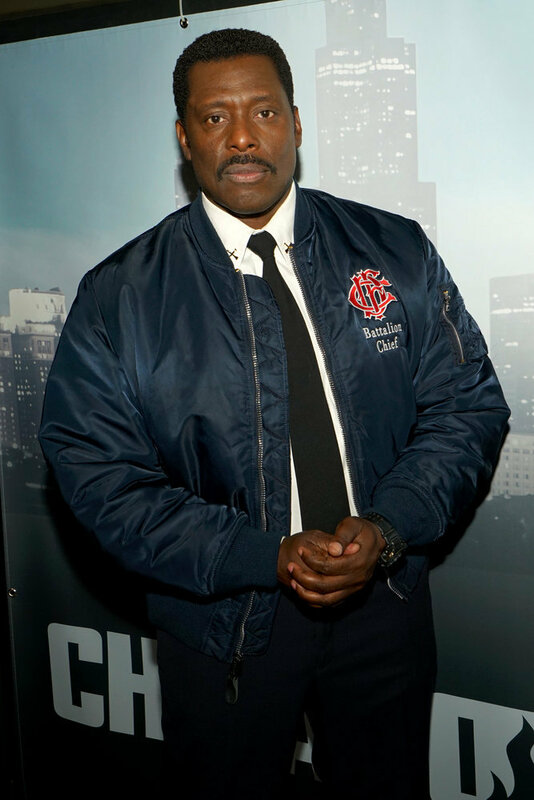 Eamonn Walker plays Chief Wallace Boden, a stoic who leads Firehouse 51 and its men in uniform. 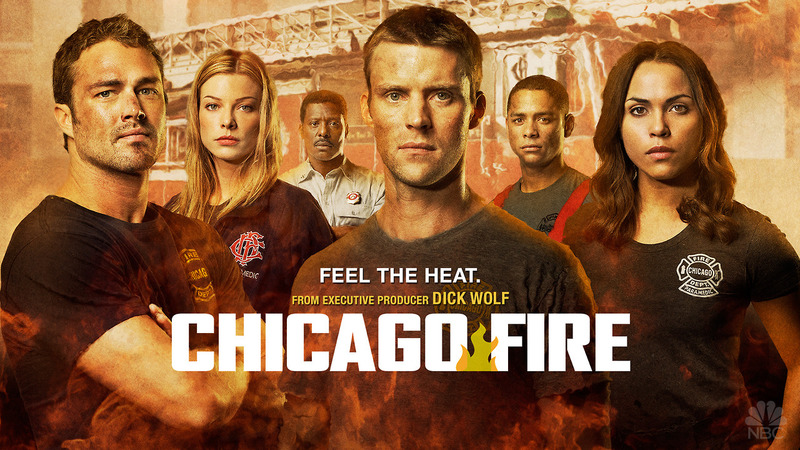 Chief Wallace Boden is joined by Jesse Spencer (Lt. Matthew Casey), Monica Raymund (Gabriela Dawson), Yuri Sardarov (Brian Zvonecek), David Eigenberg (Christopher Hermann), Joe Minoso (Joe Cruz), and Taylor Kinney (Lt. Kelly Severide). 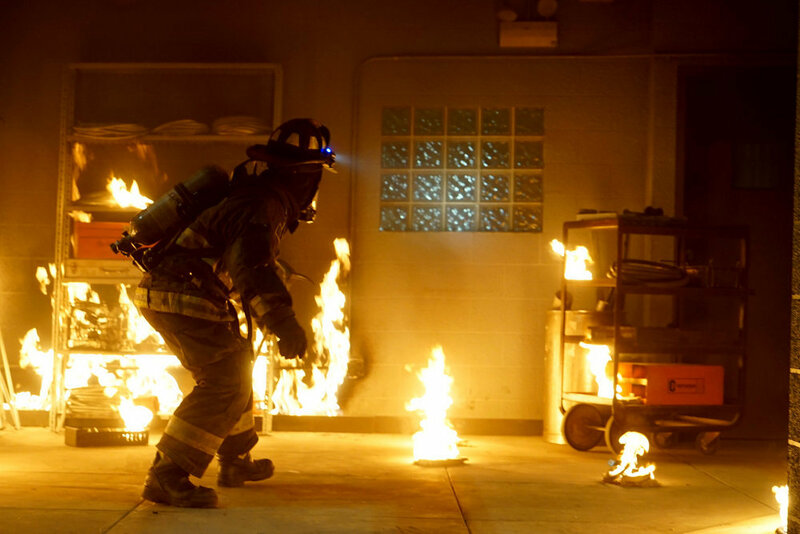 NBC’s Chicago Fire is executed produced by series showrunner Michael Brandt (2 Fast 2 Furious), Derek Haas (Wanted), Lisa Wiegand (Necessary Roughness), Peter Jankowski (Law & Order), Steve Schill (The Flash), and Joe Chappelle (The Wire). 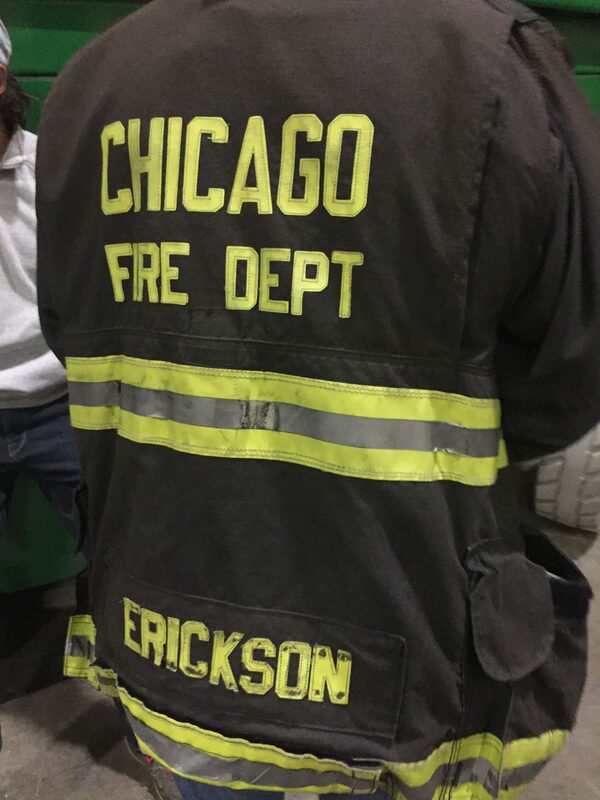 Facing political pressure from another alderman, Casey will stop at nothing to keep his family intact; meanwhile, spurred on by a social media celebrity, Severide considers taking a break from Firehouse 51 to pursue a different lifestyle.